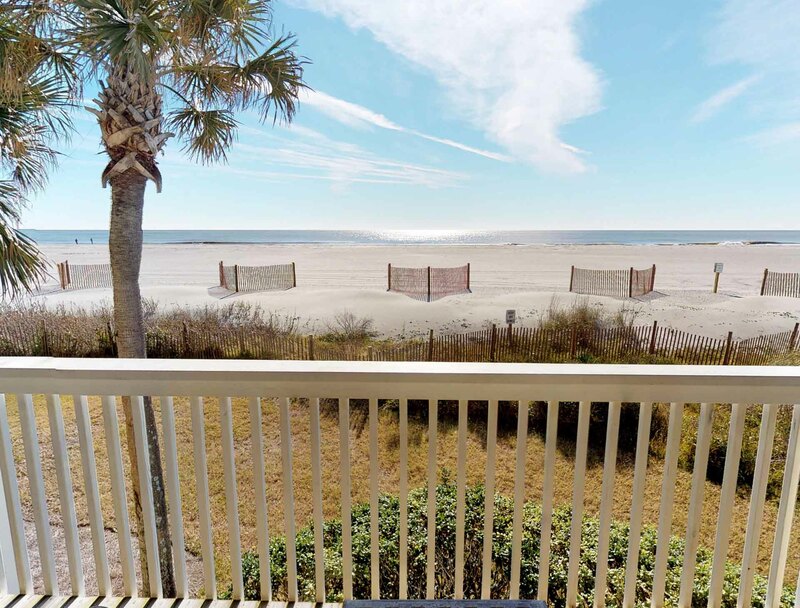 Absolute oceanfront unit with great views of the ocean and pool. Nice covered porch off living room with stairs right down to the beach or pool area. Renovated and absolutely beautiful. 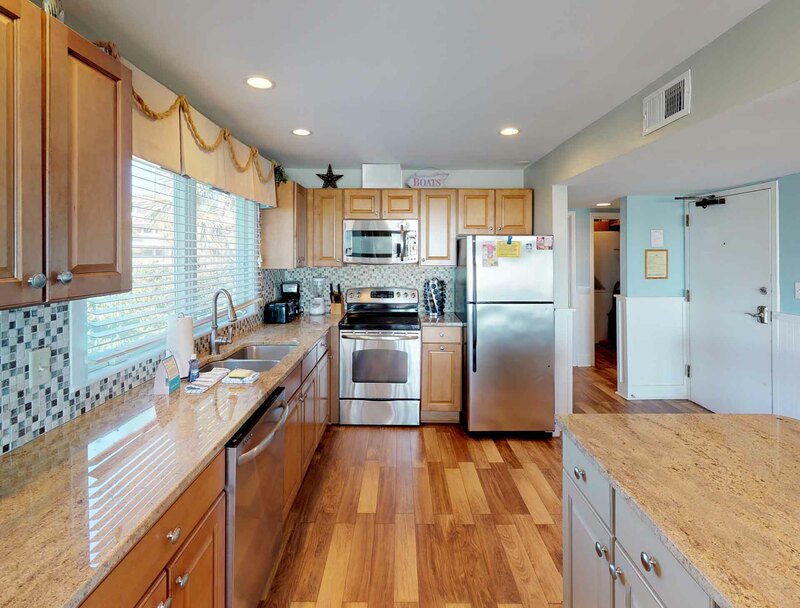 It has plenty of cabinets, granite in kitchen and bathrooms, built-in entertainment area and steel appliances, Master has a king with private bath, TV, WiFi, cable and second bedroom has two double beds with private bath. WiFi, Cable TV, 2 VCRs. Linens Included. No Smoking. No Pets. 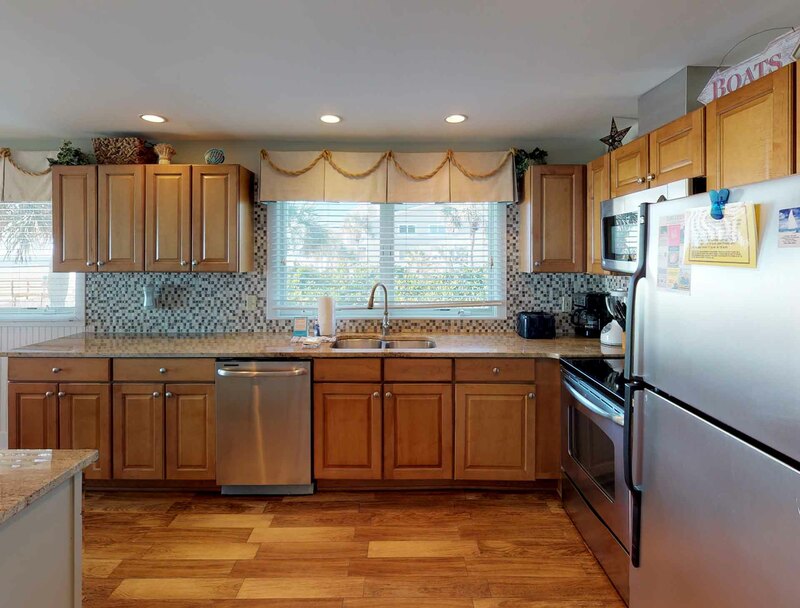 Large open plan kitchen, steel appliances, center island, wood floors. Living room / queen sofa bed , TV , VCR , cable , WiFi, sliding doors to patio. Dining area, table for 4. Master bathroom, walk in shower. Guest bedroom, 2 double beds, TV, VCR. 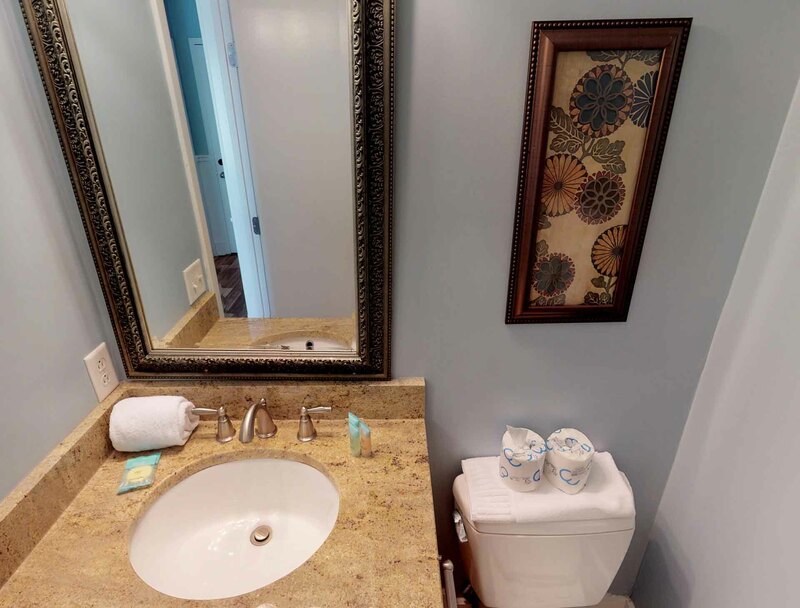 Guest bathroom, vanity, in tub shower. *This is a Sunday-Sunday rental from 6/2/19 to 8/25/20 3 night minimum in off season* During times of promotion, this villa does not allow discounts. Great location but too many issues! Our 7 night stay wasn’t what we expected, which is too bad because this condo has so much potential. Great floor plan, views of beach and ocean, etc. but the number of issues we experienced impacted our stay. All of them related to the property’s general condition. Hole in washer water line flooded laundry room and hall before we stopped it with towels; screen on slider unit to deck had multiple tears, lip around kitchen sink had lost almost all caulk and was filled with gross debris and mildew; WIFI was a joke - we lost track of how many times it booted us off. Couches and chair needed to be replaced several years ago. Paint, dirt & debris on window screens affected enjoyment of great views. One window in master bedroom was sprung and could not be closed from the inside, so the first night was frigid with overnight low at 40 degrees (it was open when we arrived). Maybe the worst thing was all the small ants on kitchen counters and floors throughout our stay. Island Realty was very responsive to our issues; we appreciated their efforts to resolve our issues. We paid way too much (almost $1,900 for 7 nights in February!) to have to endure this type of experience which was supposed to be a relaxing late winter stay at the beach. Thank you for taking the time to write a review. We are so sorry that you ran in to so many issues during your vacation. I made this owner aware and also notified the heads of the appropriate departments. Please don't hesitate to reach out to me if you would like some assistance when selecting a unit to stay in. 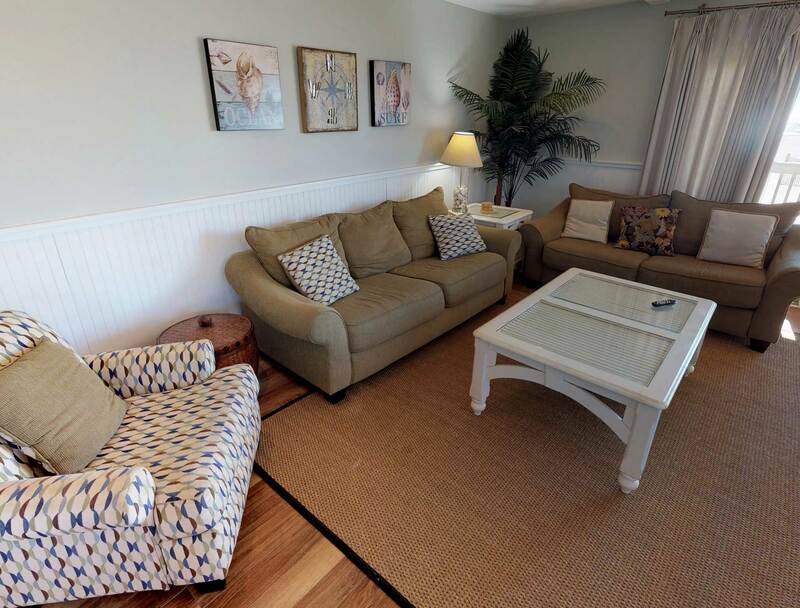 This is a comfortable and very well maintained unit right on the beach. We had a good stay except for XFinity interfering with our attempts to log onto WiFi. Also we had difficulty checking in when Island Realty refused to give us a pass for our friend arriving late that night and Wild Dunes said IR must do that. Limited Parking; the washer leaked, poor lighting in the bedrooms. great view of the ocean...clean condo. Great -but there was not a hair dryer - otherwise everything was very good. Thank you for taking the time to leave a review. We have made sure that the is a hair dryer in the unit, and look forward to having you come and stay with us soon. The condo was great. However, upon checking in staff was not very friendly. The condo is right near the pool and ocean. There was enough space for my family of four and plenty of games for the occasional rainy day. There was enough to do we never ran out of options. Can rent paddle boards at IOP Marina, Tennis, Golf on premise and just a short trip into Charleston for history and food. Tried several restaurants in IOP and had good experiences. No complaints with the rental or rental company. Would recommend. Would stay here again, though we don't say that about many places (just because there are lots of good ones out there to experience). The condo was nice with a spacious kitchen. The master bedroom bath was tiny, and like most properties of that age, no air circulation. the property was technically Ocean Front but so far away from the actual water (I would bet 150-200 yards) it didn't feel very close. It was overall a nice experience. The condo was beautifully positioned. The furniture could use some updating. A few stains on carpets. When we lost internet at the beginning of our stay, Michelle and her team worked overtime to resolve the matter. It was much appreciated. As was the availability of cleaning staff whenever we asked. Overall, a terrific rental experience. great crew at Island Realty. Scope of beach work misrepresented. Everyone at the office has been cordial and helpful. The unit is o.k.. Couches need replacing. Dryer squeals. But, had you informed us that the beach project was going to be 24/7 with loud beeping throuhout the night so we sleep with earplugs, and not well at that, we would have made other plans. Rented that unit four times for two weeks. 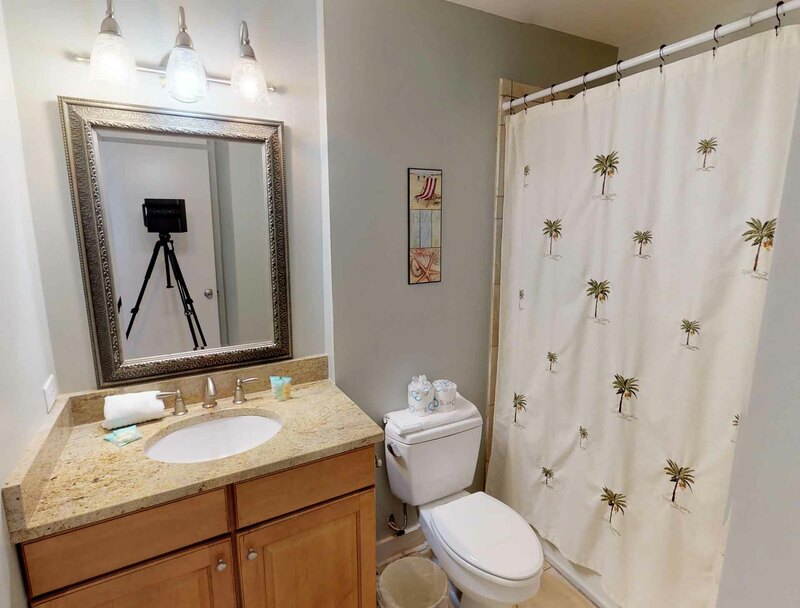 Unit is fine but certainly suggest floors actually being washed sometimes, a new broom and dustpan is needed as well as a decent vacuum cleaner, teaspoons and most importantly more towel racks in bathroom. One towel rack is totally Insufficient and have mentioned that for the fourth time!. When staying two weeks why are not trash bags, dishwasher soap and etc. supplied for just one week? Since we have to clean it ourselves for the second week and weekly renters don’t have to, we should not have to go out and buy those supplies as well as do the cleaning. The couches both need to be replaced due to hard use. The view was great - however there was no beach or beach access at high tide. At high tide, you would have to walk through the Wild Dunes area - hoping that they did not have a wedding. The view to the right is not a correct representation of the beach access. It would have been nice to know this before renting this property. Also, the internet access was very spotty. The only place you could get internet on a regular basis was the bedroom. Thank you for your comment as it provides the opportunity for us to provide some information about our islands. Isle of Palms, Dewees, Goat and Sullivan’s Island are barrier Islands separated by the mainland and the Intracoastal Waterway. The only constants about barrier island are they have beach, dune, barrier flat and salt marsh habitats and other these unique ecosystems that are always changing. We have seen erosion and accretion along the entire shoreline and tides can change with the lunar cycle, weather and other environmental factors. When we have erosion that begins to encroach the structures we do alert guest prior to arrival but we do not provide updates as the shoreline widens or narrows during the tidal cycles as they are not very predictable. We do however provide a tidal chart at check in so guests can be aware of the times of high and low tides. Thank you for staying with Island Realty and we hope you can understand Mother Nature's power over our environment. This condo was beautiful! Very clean and everything appeared to be new. Lovely place. The only thing you need to be aware of is there is there to beach erosion there is no direct beach access. Everything was fine but it would be great if there were more towel racks in the bathrooms. My Mother and I have been coming to Wild Dunes for the past 6 years. This was our least favorite place that we have stayed. 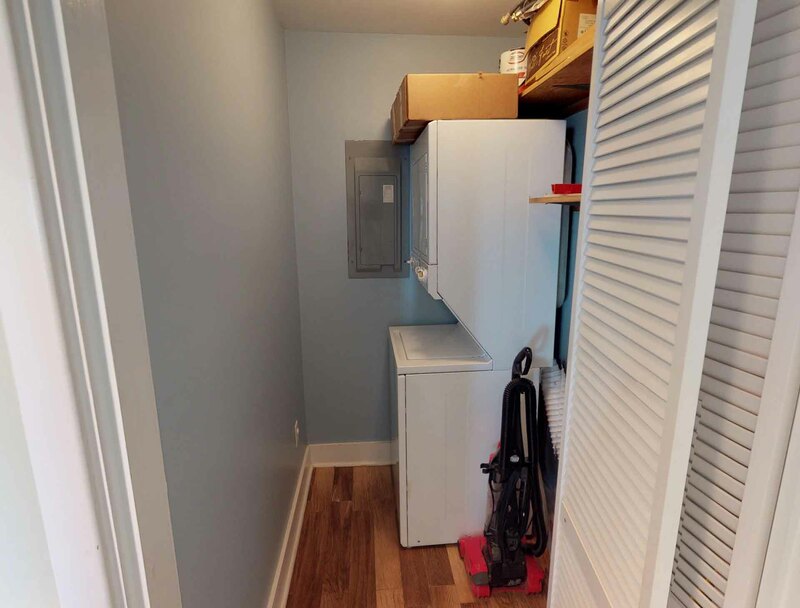 Unit needing updating; carpet, furniture, air conditioning (does not work in back bedroom) deck furniture, kitchen accessories and overall a good cleaning. Unit was not clean, only the "high spots." View was awesome from deck but the beach erosion makes beach lounging for the whole day imposible with the tide. 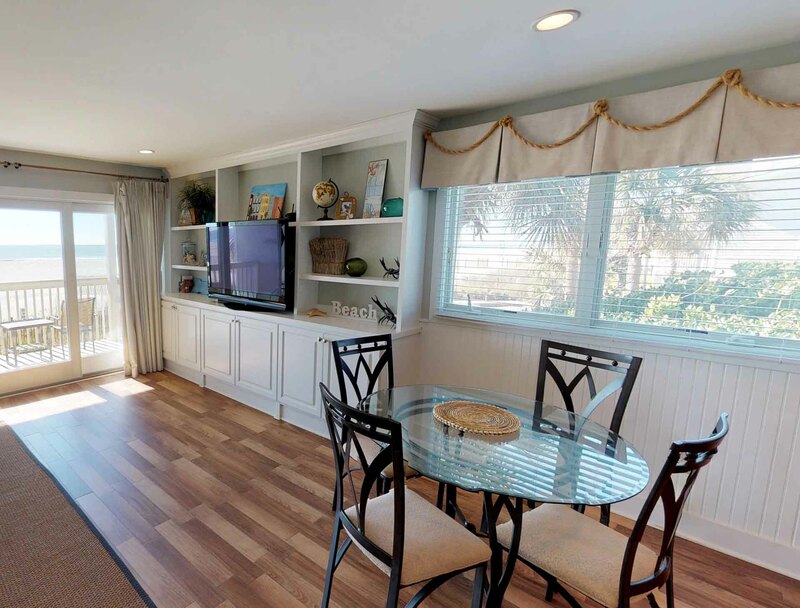 I just reviewed your recent guest survey from your stay in Seagrove 2B and I would like to thank you for taking the time to share your experience and apologize on behalf of Island Realty. I have reviewed all your feedback in detail and have also passed it on to the appropriate parties. It is always Island Realty's goal to provide guests with quality accommodations, which I hate wasn't your situation during your recent stay. 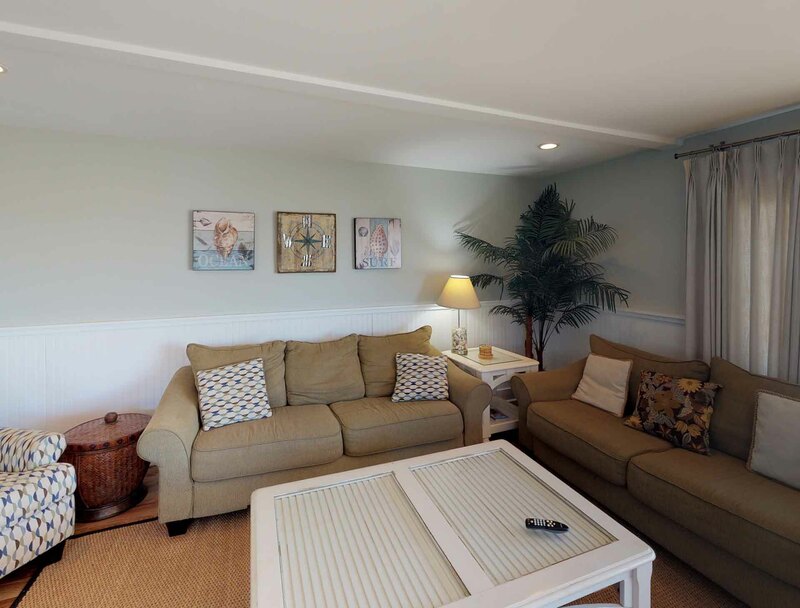 I hope that you know that every one of your suggestions or concerns are being looked at closely and shared with the decision maker of Sea Grove 2B in hopes to make this unit more appealing and comfortable for our future guests. Once again, thank you so very much for taking the time to share your experience with us! Beautiful location right on water. Beach erosion has made the beach directly in front of condo not an option. 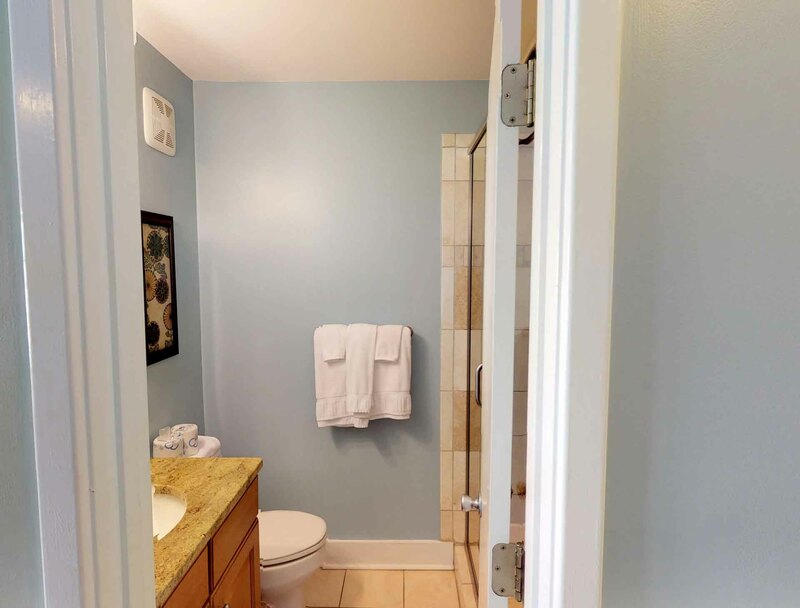 Condo needs paint job in bathrooms, paint pealing, grout needs to be redone. One chair broken on porch. Furniture a little dated. Stains on carpet. Island Realty very professional and quick response when needed. Not as good an experience as past years. 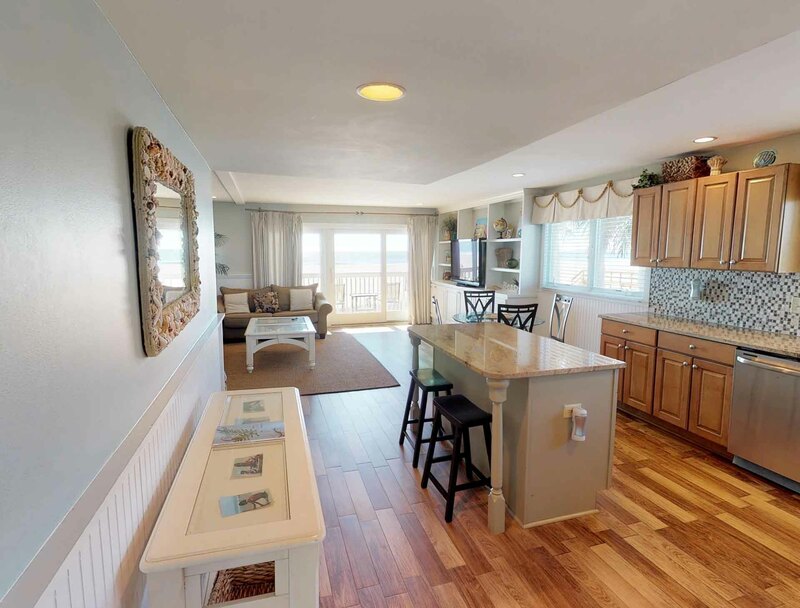 I've been coming to Wild Dunes for 20+ years and have rented through Island Realty for close to 10. We love our vacation at Wild Dunes but this year was not as up to par as other years. It was disappointing that the beach was not accessible at high tide (especially since that was prime beach time last week). The property (Seagrove complex and unit 2B) seemed run down in general. Maybe because we had just come from Hilton Head and had a wonderful complex that costs less than Seagrove but overall it felt a little overlooked. The pool had no umbrellas and since you couldn't use the beach for umbrellas there was no shady place to sit. The pool lights only came on two of the seven nights we were there making it unsafe to swim at night despite the hours listed until 10pm. I called twice and it was never resolved. Our patio furniture was old and torn and never replaced despite my phone call. Inside the unit we had ants throughout the kitchen, the second bath is moldy and the toilet ran nonstop and the master bath ceilings were peeling. It really seems the whole development has gone down hill. 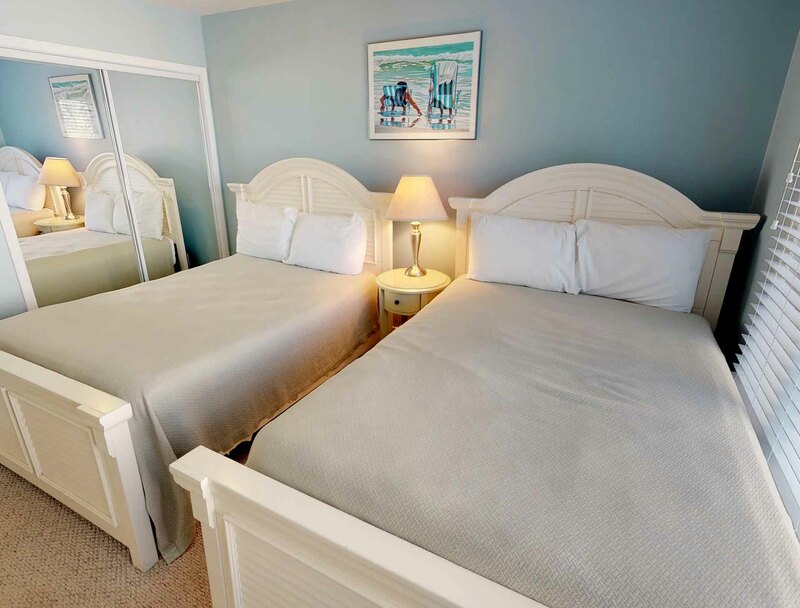 Came to Wild Dunes for girls high school reunion ( 36 years) It was disappointing that there were only 3 wine glasses in a unit that was 2 bedrooms. No hairdryer. They did not let us check in before 4 pm when it was clearly not occupied. 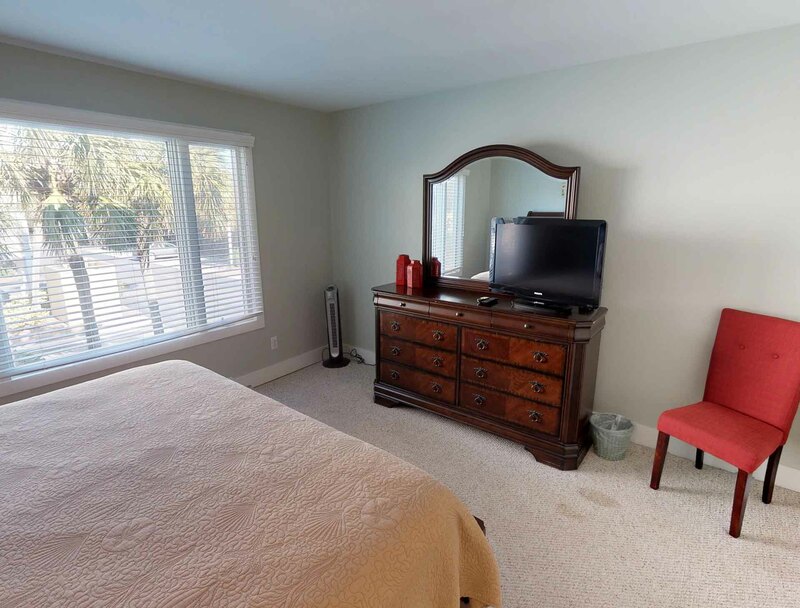 It was the most expensive of the units in the complex which I was glad to pay to have a more upscale unit and I thought the furniture etc was just average. There was no soap or coffee filters- just the bare bones. I know the owners are not "required" to have anything but the bare bones but I rent often around the Charleston beaches and most have simple necessities. I was not unhappy but will rent one of the cheaper units next time. 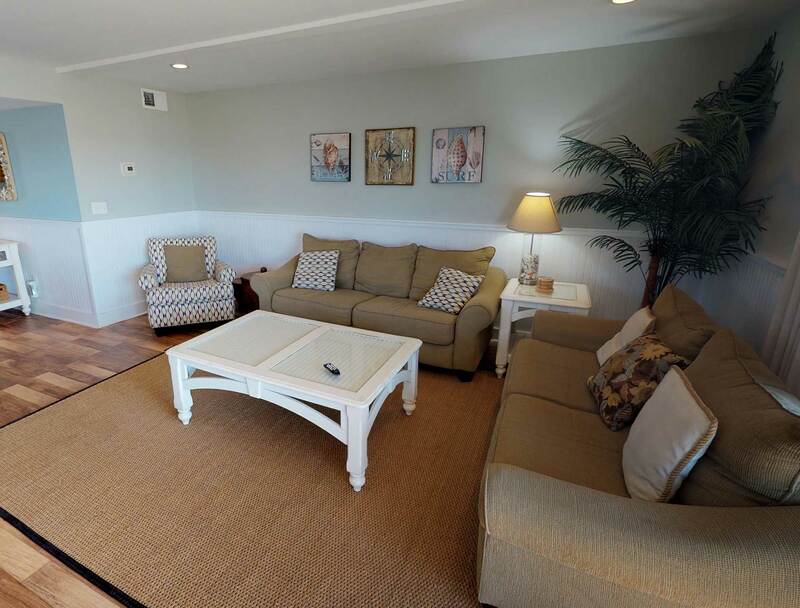 Very nice condo with good location to the beach and pool. Property management team told me since the property was vacant that we could drive on down and get an early check in. Once we got there at 3:20pm Anita insisted we were too early and would need to wait until 4pm to check in. Not cool. Clean, updated and beautiful location. Check in & check out was a breeze! Wonderful location. My only complaint would be that the noise from the condo above could be heard as if they were in the room with you. Glad to hear things went smoothly and you enjoyed your stay! Unfortunately, noise from above is always a struggle within these condo complexes. I hope you did not experience any excessive noise during the City's quiet hours! Please know you can contact us any time and we will try to manage the situation as best we can! We hope to see you again soon!